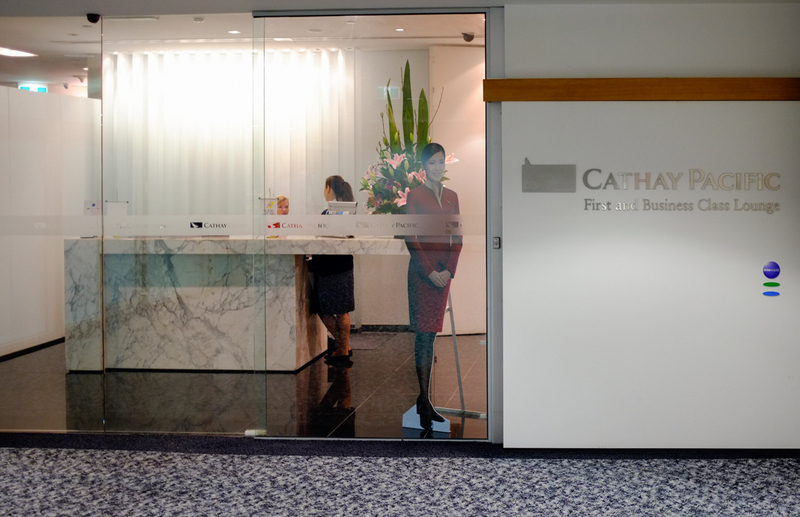 This review takes a look at the Cathay Pacific Business and First Class lounge in Melbourne, which I was able to visit as part of the Melbourne Airport 2018 Excellence Awards. 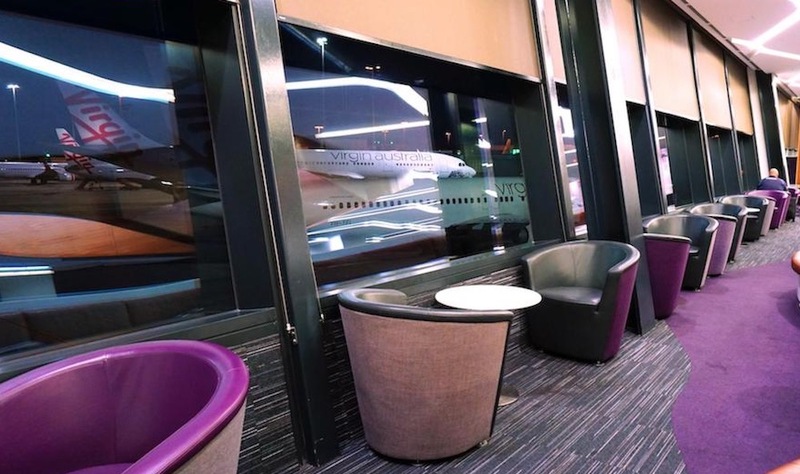 The lounge had a renovation a couple of years ago, however this was not a comprehensive upgrade of the lounge in the same manner as other global lounges within its network, such as London and Manila. This makes the lounge feel outdated and well in need of a makeover. 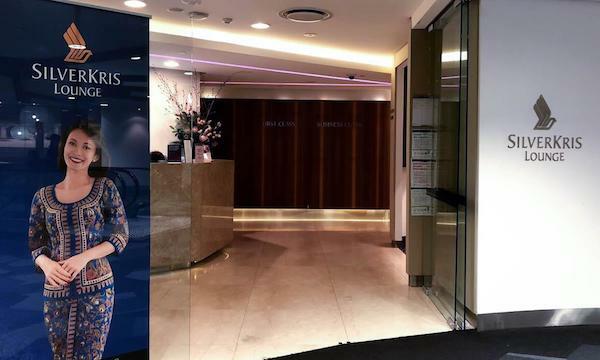 Note that we were not permitted to take photos of the lounge during the Melbourne Awards, we are using some of our older photos for this review. 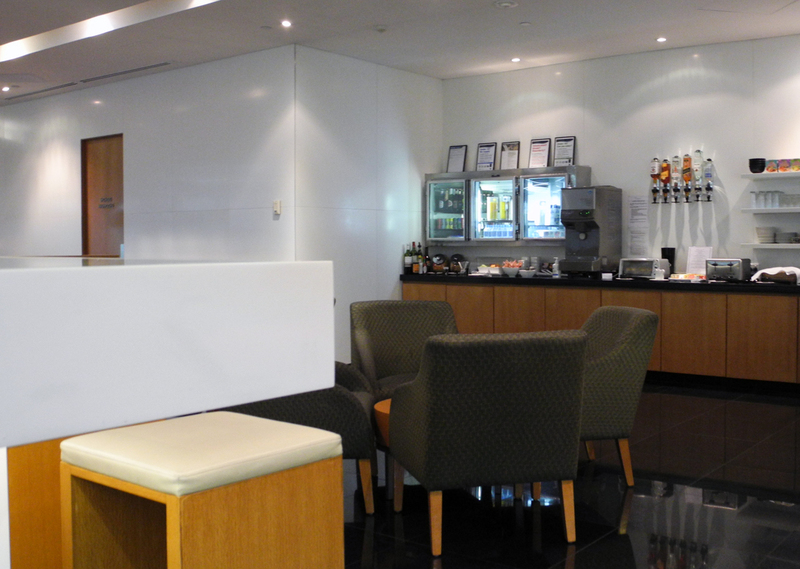 The lounge is located on the Satellite Concourse, Level 1 just below Gate 6. It is open between 04:45-14:00 and 20:30-23:20 daily. 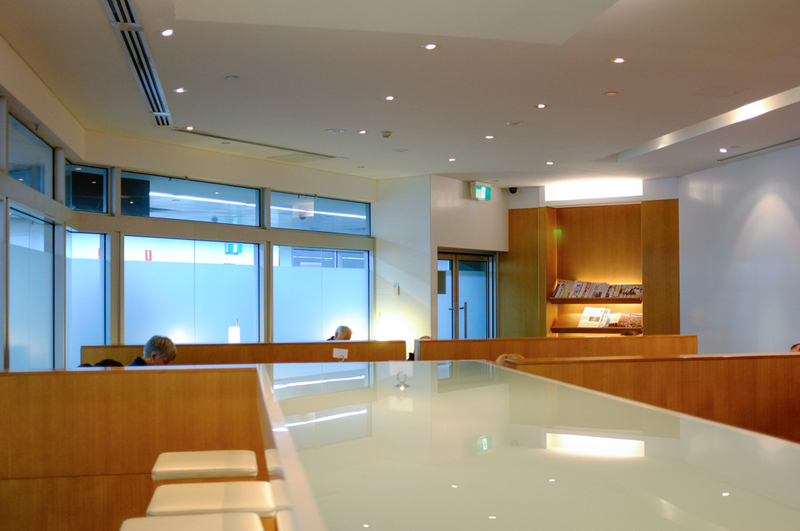 The Melbourne lounge is one of the smaller lounges within the Cathay Pacific lounge network. The lounge is partitioned into several sections, which seats just approximately 100 guests. 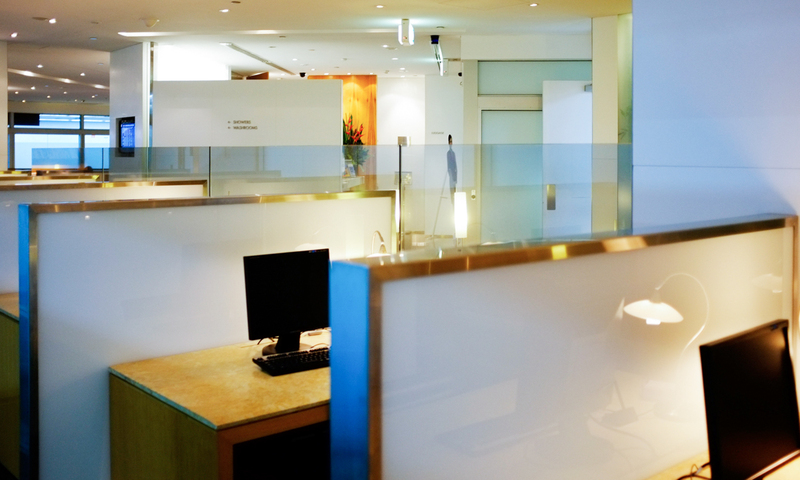 After you pass the front desk, you encounter the first seating area which is separated by frosted glass partition, from five computer work desks. These desks occupy half the room. 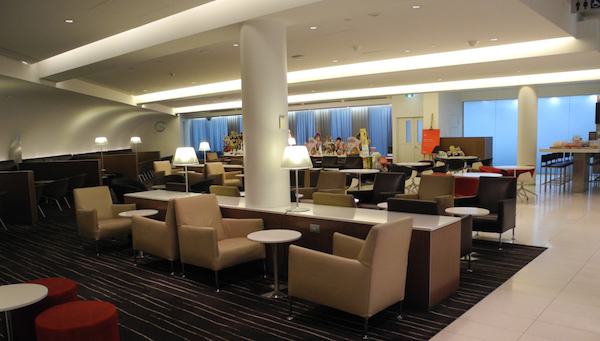 When you turn right, you will find several seats around coffee tables next to the dining and buffet sections. Behind is a bar and stool setup with power points, and more armchair seats towards the back of the lounge. 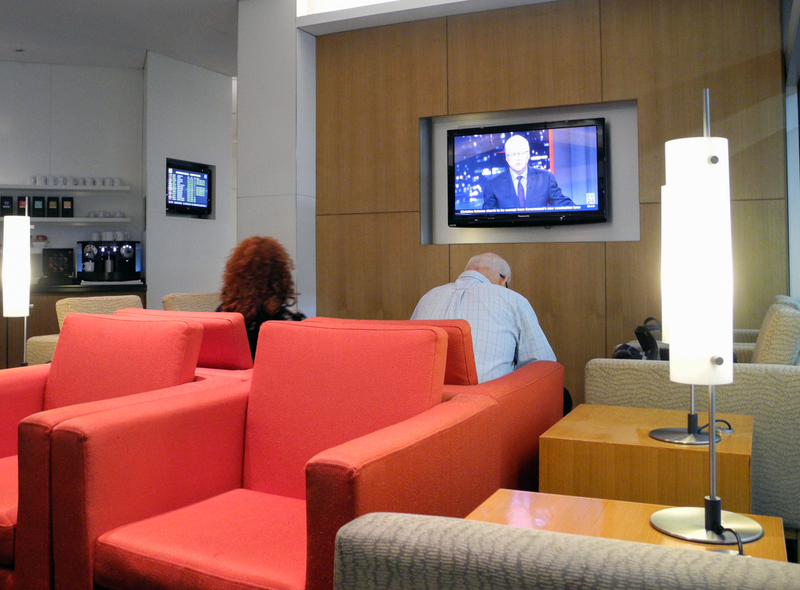 Most seats do not have power outlets or USB charging ports, so make sure to enter this lounge with fully powered devices. The lounge does have a number of drawbacks. 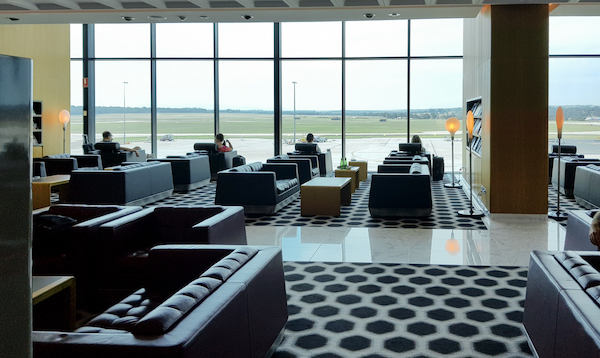 Notwithstanding the small size of the lounge, the lounge is located on the basement level of the airport, resulting in the lighting being quite harsh to compensate for the natural darkness of the lounge. 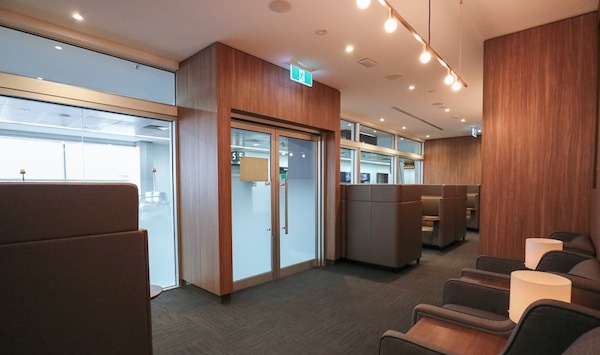 After visiting the Plaza Premium and American Express lounges within Melbourne Airport, you can’t help by feel that more can be done with this space. Dining consists of a buffet station which offers different types of meals depending on the time of the day. During our visit in the morning, hot food was available with the Asian options being steamed dumplings and siu mai whilst the western options were omelettes and party pies. Cold dishes included soup and chickpea salad and small tubs of yoghurt, muffins, peach tarts and a fresh fruit platter. 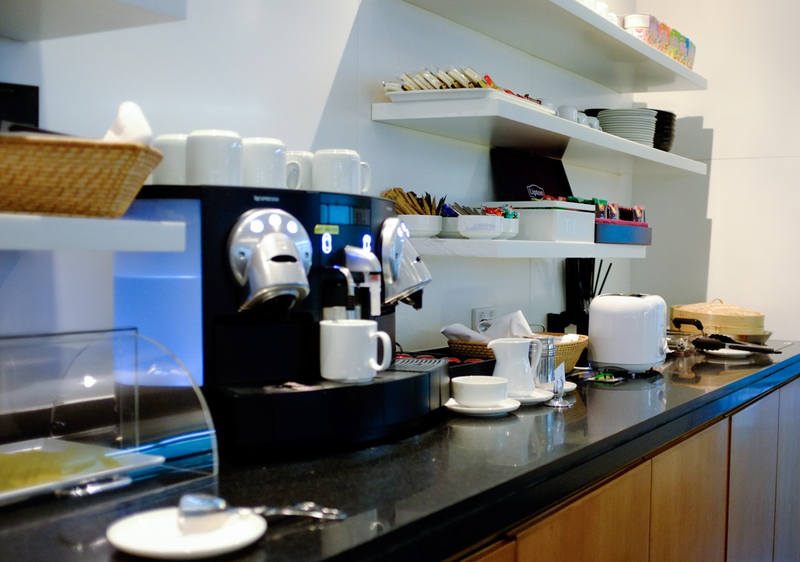 The food selection was quite basic and less than in some of Cathay Pacific’s domestic lounges. There is no barista service or a bar. 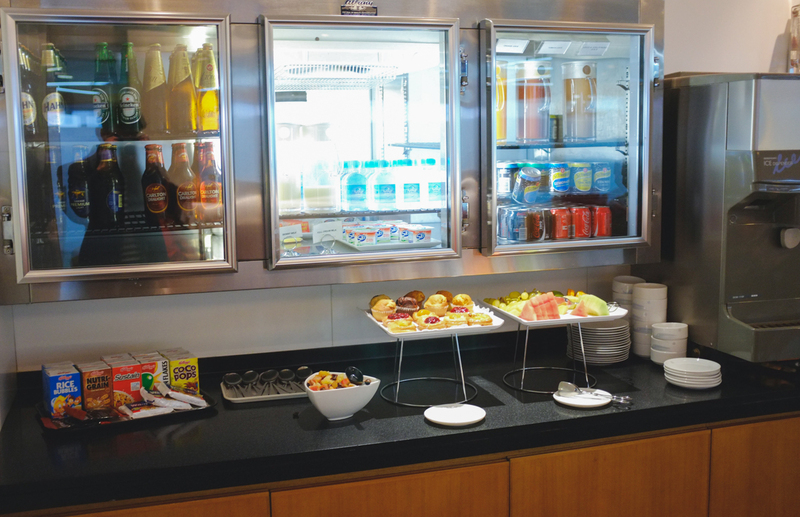 Instead there is a self-service coffee machine, tea station and small fridge with five beer brands including Hahn, Heineken, Crown, Cascade and Carlton Draught, as well as a variety of non-alocohic drinks including Coke, Diet Coke, lemonade and juices. The bubbles on offer during our visit was Redbank Emily Chardonnay, Pinot Noir and Brut Cuvee NV champagne, while there was a variey of spirits, including Jim Beam, Vodka and Johnny Walker, to name a few. There are two showers in this lounge, however during our visit, one was broken. The showers are locked and guests can gain access by requesting at the front desk. Amenity kits are provided within the showers, and a hair dryer is provided upon request. The shower facilities were very clean and well maintained. While the lounge is equipped with Wi-fi, it is extremely slow, with a download speed of only 1.9mbps and upload of 0.67mbps. We had difficulty uploading even a 4-megabyte file. On a positive note, this lounge has a great variety reading materials available should you be looking for a non-digital way to pass the time. 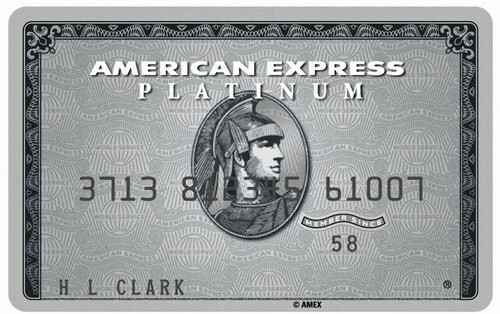 By frequent flyer status: Marco Polo Silver members (does not extend to silver members of One World partners i.e. Qantas Silver), Marco Polo Club Gold and One World Sapphire or equivalent i.e. 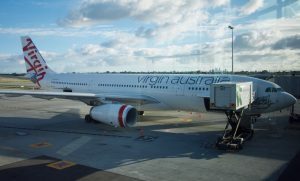 Qantas Gold members. 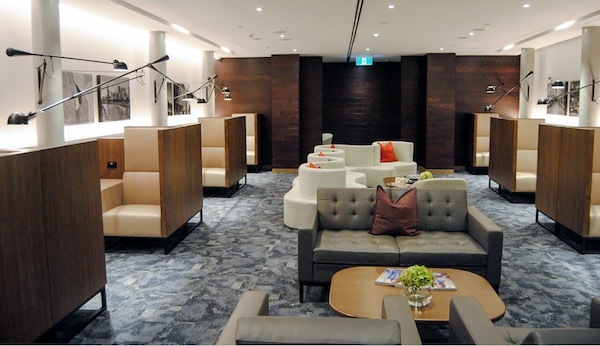 We were told by the agent that this Foster + Partners-designed lounge was renovated two years ago, however unlike other Cathay Pacific lounges in the network such as Manila, London, Seoul and Singapore, the Melbourne lounge hasn’t received the much-needed facelift from upmarket designers Ilse Crawford. Cathay Pacific is a well regarded airline, however this particular lounge does not reflect or live up to their reputation for quality. This lounge is well overdue for a facelift.